Asia Poker League was back in China from August 14 to August 22 to host their first-ever APL Xi’an China. The venue was the Xi’an Baoyulin Poker Club in Xi’an, China, a destination not as well-known as Beijing, but if based on numbers, it certainly seemed otherwise. The league produced a massive 760 entrants for the Main Event with long lines seen daily prior to the start of registration. With each entry at CNY 5,500 (~US$800), a prize pool of CNY 3,686,000 (~US$535,888) was created, exceeding the advertised 3M guarantee. After eight days of competition, the champion emerged with Chen Feng eliminating Gao Yi at heads up to seize the CNY 700,000 (~US$101,811) first prize. Chen told the Chinese media DZPK that he looked forward to sharing his winnings with his family having been separated from them the entire length of the event. As for runner-up Yi, he also did well for his efforts pocketing CNY 420,000. To reach heads up, Yi got very lucky on third place finisher Zhou Bin. Yi’s pocket threes turned runner runner straight to defeat Zhou’s pocket aces set on the flop. Another event that took place was the Teams Event with 8 teams in participation. One team represented the Koreans while the other seven were from China. In the end it was Team Goldfinger, a local Xi’an team made up of players from the Xi’an Bao Yu Lin poker room, that triumphed. The teams event was designed by Singapore Poker League founder, Jack Liew. His goal was to promote the formula to other festivals and to push the emulation between the different clubs. 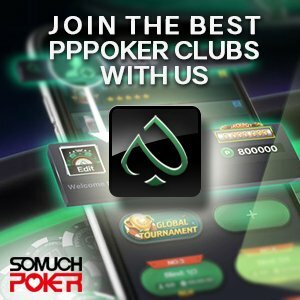 In an interview with Somuchpoker prior to the event, Liew explained that this team event was just the first step and expected it to grow significantly in Vietnam. 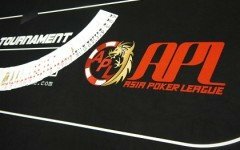 Next up, Asia Poker League returns to Pro Poker Club in Ho Chi Minh City for its second edition of APL Vietnam. The first of its kind ran at the end of May into early June with a jaw-dropping 868 entries for the Main Event. This upcoming event is scheduled for November 15 to November 25 featuring an VND 8 Billion Main Event prize pool (~US$344,096). Buy-in is set at VND 16,500,000 (~US$715).